I started off my adventures with a family wedding in Miami on New Year’s Eve and it was sort of a Cuban fiesta with Tiki huts dancing. I spent about 5 nights in Miami, and although I’ve been before, I enjoyed it so much more this time because I managed to see more of it. Miami has such a typical holiday vibe to it with the palm trees, white sand beaches and the clearest blue waters, it’s just the best place to chill out. 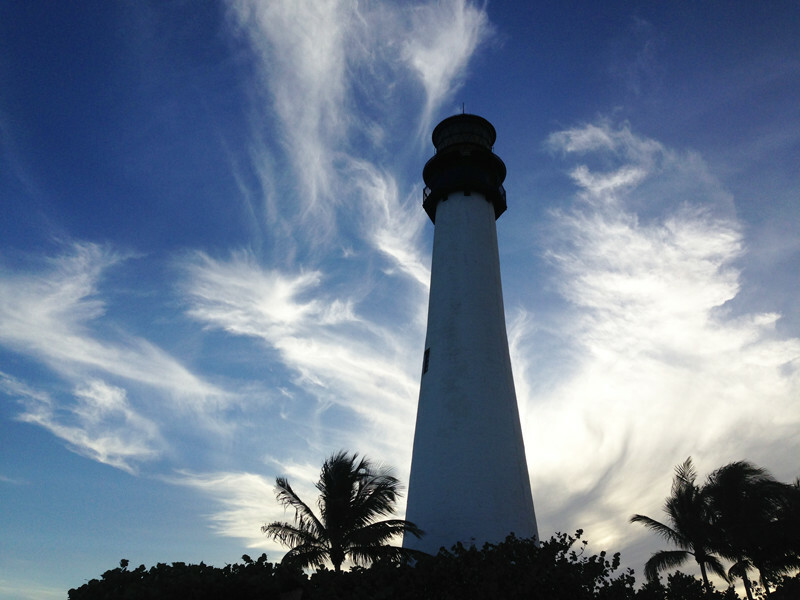 I visited Bay Biscayne, which is right on the coast and has a beautiful lighthouse to visit. One thing about America is you can’t just walk places, so having a car really made it easier to enjoy it all the more. But if renting a car isn’t an option one great thing, which I didn’t know America did, is that you can use uber-taxis over there, which was really cheap and a great thing to use if you’re based in one area but wanting to see more of the place. With all that said Coconut Grove was brilliant as it was in walking distance and filled with great places to eat and drink, so we often walked there for breakfast. But the main area of Miami is South Beach, but it’s quite expensive for food and personally, I think there are nicer areas to go. The food is mostly meat and eggs and of course because its America its huge portions so you end up sharing with someone else and only eating about twice a day. But you do get your value for money. I did try this unusual thing called pork patties, which is sort of like a flat sausage, but because it’s Florida you do have to try the fruit platters as it’s all tropical fresh fruit. Something that I think everyone should do when in America is to go see a basketball game. It was the highlight of the entire trip. For us Brits who go to sport events will enjoy it all the more as it’s a completely different experience. 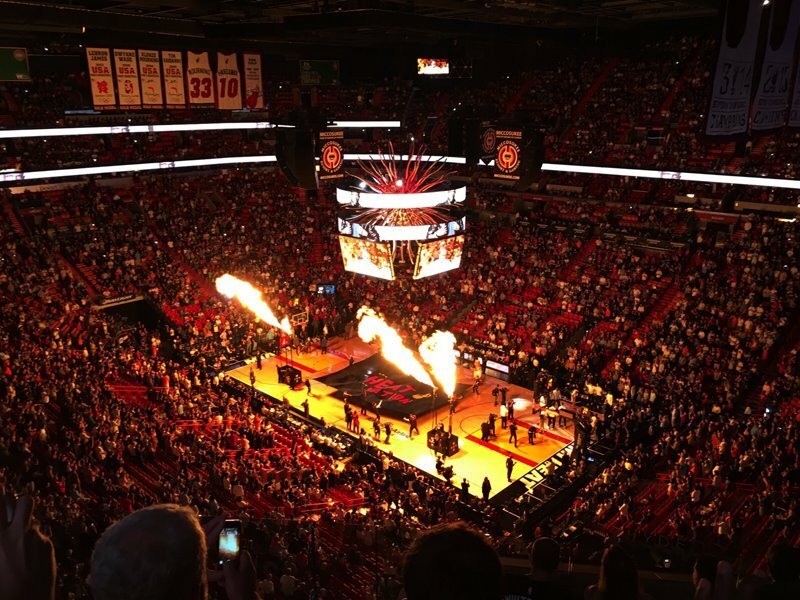 I went to see Miami Heat and it’s like going to see a show. There’s basketball for about 12 minutes at a time and in each break different things happen so cheerleaders come on and there’s competitions and games, not to mention celebrities attend the events, so it really is an experience not to be missed. Of course when you think Florida you think theme parks, and with so much variety on parks I think you would be mad to miss out on them. So while visiting Orlando for 4 nights I managed to visit Busch Gardens and Universal Orlando Resort. What impressed me so much about Universal was that I went about 8 years ago and since then it has changed so much. It’s a very themed park so they have The Simpsons, Jurassic Park, Jaws, Back to the Future as well as loads more sections of the park but of course none of them are quite as famous as The Wizarding World of Harry Potter part of the park, which really was a magical experience. I think my top tip for doing the parks in Orlando is to get the que jump passes. They are a little bit more in price, but I think when you’re spending so much on tickets anyway you might as well spend a bit more and be able to get on more rides and experience every part of the park. Busch Gardens is more for ride enthusiasts I think. The rollercoasters are mental, they’re just the next step up really. I did come close to asking to get off a ride before it had even started because it looked so terrifying, but I did enjoy it… eventually. If theme parks aren’t really your thing there are other things to do of course. I visited a shopping mall which has amazing bargains for top brands like Levis and Nike. Of course I hit the January sales as well but it’s still incredibly cheap. 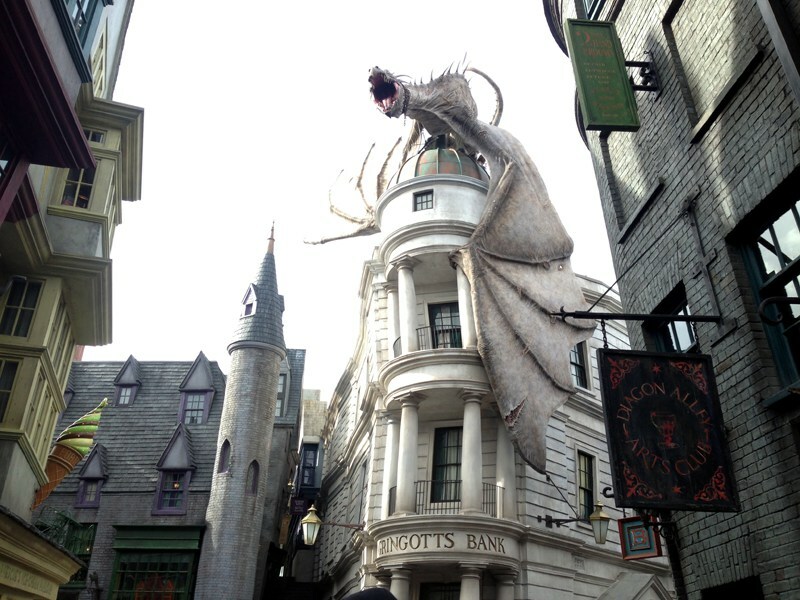 What made Orlando perfect though was the accommodation. It’s a different atmosphere to Miami. I was staying in a Clickstay villa by a golf course which was so incredibly peaceful. It was just so quiet. The place was huge, really clean and not too expensive. I was in a 4-bedroom villa with ensuites, a place to have a BBQ and of course a heated pool. So when I was exhausted from a long day at a theme park, I could come home and relax in the pool. Florida has a real Latin feel to it, there are a lot of South American’s there, so you really feel it in the atmosphere, the food, the drinks; it’s just a really nice chilled out vibe. I really felt this when I travelled to Key West, which is the most southern part of USA, and although it took 8 hours to drive there it was so worth it. The island had about 6 or 7 beaches and it’s quite a small island so you can drive around them all in about 10 minutes. I was staying in a very traditional beach house which was really homely. I was only there for about 3 nights which wasn’t enough at all, and again it was a completely different vibe to everywhere else I had been in Florida. 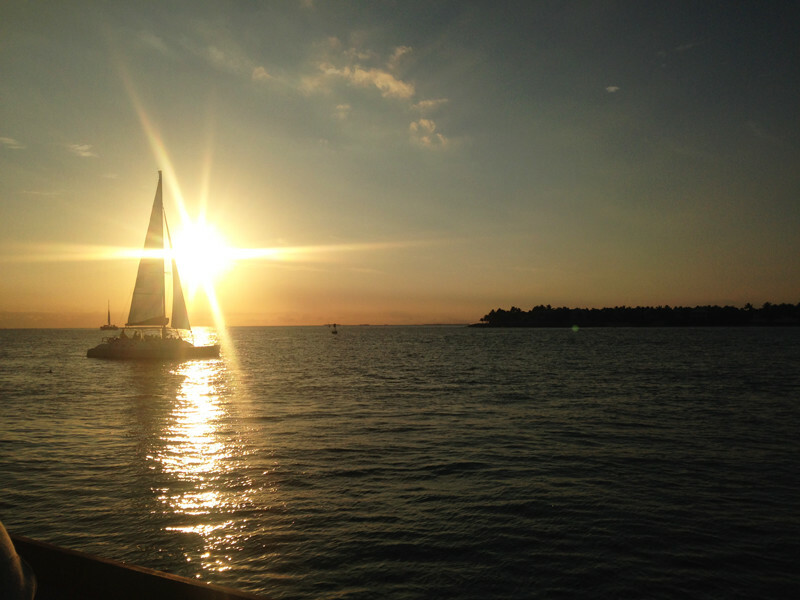 Although I’ve never been, I was told that Key West is very similar to New Orleans. This was purely down to the nightlife. Everyone comes together for live music, great food and even better margaritas. Duval Street is the best place for nights out, it was just so vibrant. The food of the island is a lot of sea food, like BBQ shrimp, but mostly I got the impression it was a lot of pop up food places, like taco trucks, so easy to get, cheap prices and tasty food. 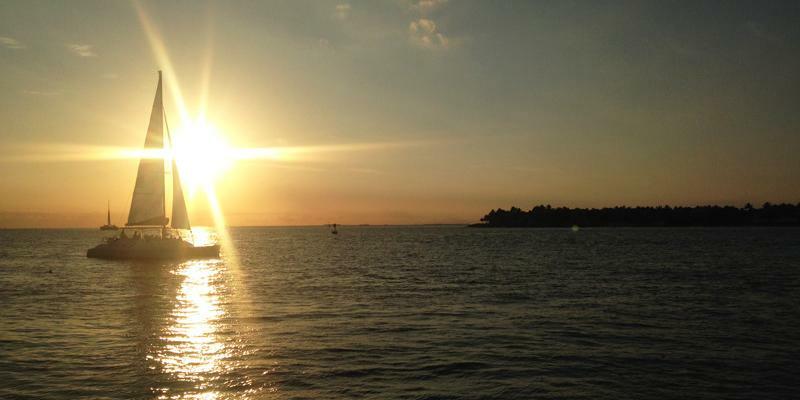 My favourite thing was spending sunset at Mallory Square, which was where everyone seemed to head to. And it was great for it as it had places to eat and drink and just to sit and enjoy the local atmosphere. There was quite a lot of American tourists, who use Key West for their holiday destination, but it didn’t feel overcrowded at all. I also managed to squeeze in a visit to Ernest Hemmingway’s house and the weirdly famous six toed cats that reside there. So as a whole, the island was just a great holiday destination with a real Cuban vibe it. Have you been to Florida? What was your favourite place?